It goes without saying that time spent in the airport is usually the worst part of any trip—the term “layover” is basically a dirty word to frequent flyers. But airport advancements in recent years have made time spent there a bit more bearable. Simple additions and amenities go a long way—for proof just look to airports with free Wi-Fi. Taken to a larger scale, though, additional amenities have made some airports destinations in their own right. Abroad, airports have stepped up their offerings in a major way. Amsterdam’s Schiphol airport is one of many that rent personal sleep suites or pods, some of which come complete with a shower and TV. At Munich Airport you can ice skate in the winter or play “beach” volleyball in the same area when the weather heats up. If golf is more your speed, Hong Kong International Airport has a nine-hole professional-level course so you can not only practice, but actually challenge yourself and elevate your game while you wait for your flight. In the U.S., big airports have made improvements of their own. From New York’s John F. Kennedy International Airport to California’s San Francisco International Airport, and many in between, U.S. airports have been making changes big and small in order to improve the experience for travelers. When it comes to some of these improvements, you might not believe these places and things exist in airports. San Francisco’s first claim to airport recreation fame is housing the first accredited airport art museum in the world. The SFO museum is home to 65 permanent works of art and it hosts more than 20 temporary exhibits. If you were to visit now, you’d find stained glass, Korean ceramics and a series of culturally varied doors. Other major perks for travelers include free Wi-Fi throughout the entire airport, a 150-square-foot yoga room and an aquarium featuring sea life from three separate aquatic communities. What’s more incredible than seeing your favorite band play live? How about seeing them live while waiting for a flight? Some of the best-known artists in the world have performed at JFK as a part of the “Live from T5” concert series since it began in 2009. Big names that have played at the JetBlue terminal include Taylor Swift, Lady Antebellum and Phillip Phillips. JFK, particularly terminal 5, is also famous for fantastic food. Food & Wine magazine praised the terminal for its variety of fine restaurants—from French food to Sushi, it’s all just steps away from the gate. 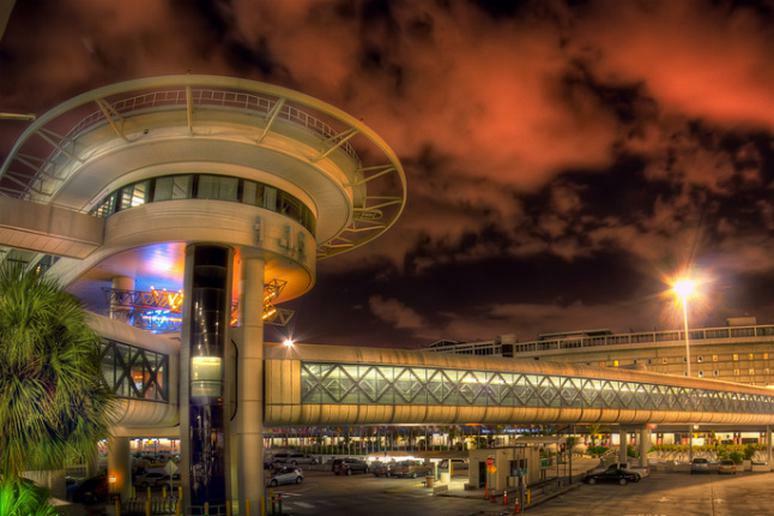 Click here to more U.S. airports we wouldn’t mind being stranded in. What Should You Do if Your Flight Gets Canceled?